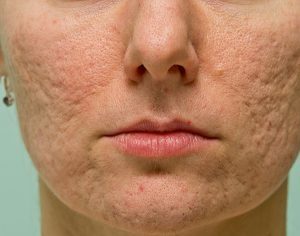 Facial scarring can be emotionally traumatic and detrimental to a person’s self-esteem. Whether the scar is from acne, surgery, burns, an accident or assault, most can be improved, if not made imperceptible. Dr. Brace is a facial scar revision expert for keloids, hypertrophic scars, and large widened or red scars. Dr. Brace uses a combination of surgical techniques, steroid injections, and best-in-class lasers to reduce, soften, and lighten scar visibility. Not all types of lasers are effective on scars, and it is important to understand what can and cannot be achieved with each different laser technology. Book an appointment with Dr. Brace to have your scars assessed and he can provide you with an honest evaluation and an individually tailored treatment plan where he will educate you regarding which laser technologies can work for you.